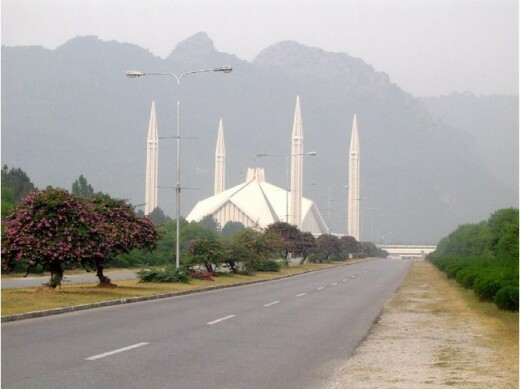 Shah Faisal mosque is situated in Pakistan capital Islamabad. Islamabad is Pakistan capital and most beautiful city of Pakistan. 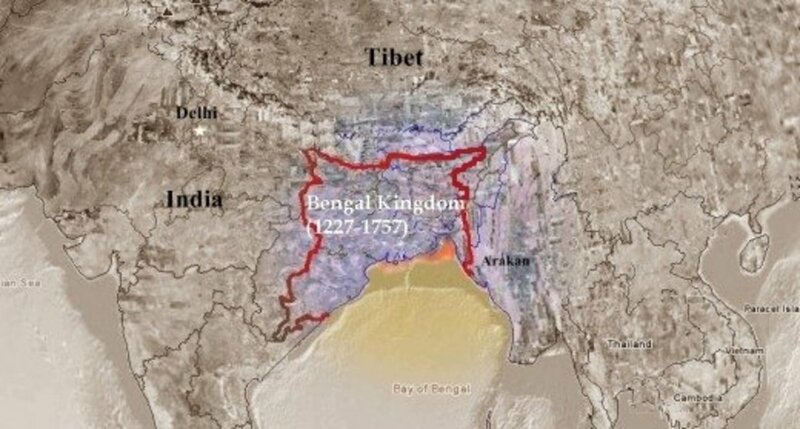 The population of city is around two million and Islamabad is ninth largest city of Pakistan. Islamabad is modern city and residence of country elite class. Pakistan National Assembly, Supreme Court and head offices of several top companies are also situated in Islamabad. Islamabad has lush green environment and neat and clean roads. Islamabad has the highest literacy rate in Pakistan. 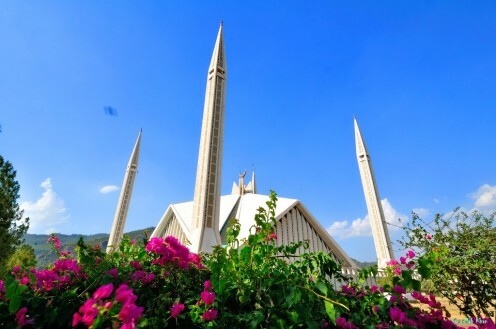 Islamabad has several top school, colleges and universities and several top tourist attraction places also. 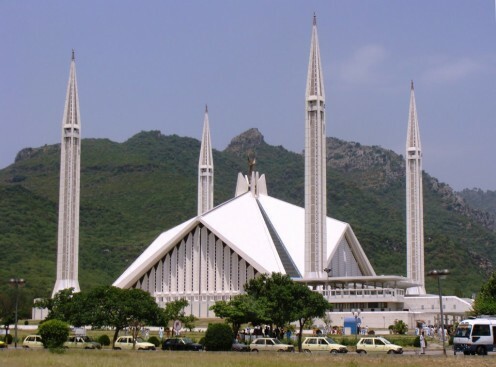 Shah Faisal Mosque is the largest mosque in Pakistan. 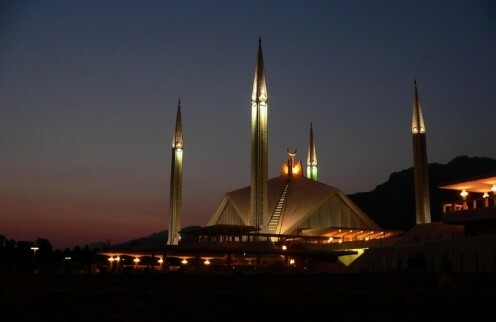 Shah Faisal Mosque is situated in Pakistan capital Islamabad. 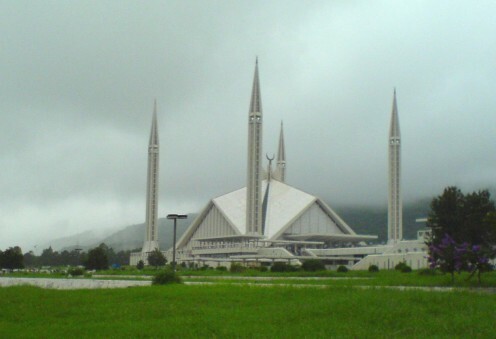 Shah Faisal mosque designed by Turkish architect Wahdat Delokey. An international competition was held in which several architect participated mosque shaped is like a desert Bedouin tent. Mosque is located near the Margala hills and mosque adjacent area is very green and full of natural beauty. 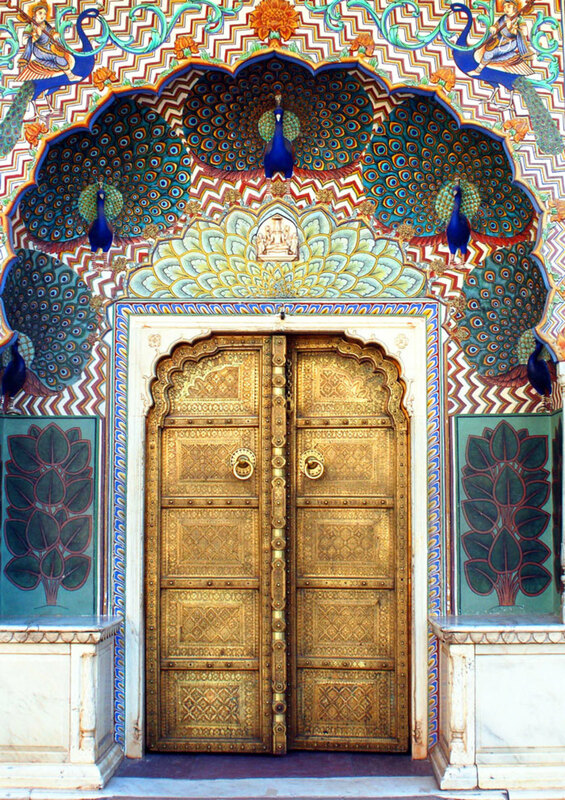 Total area of mosque is five thousand square meter. 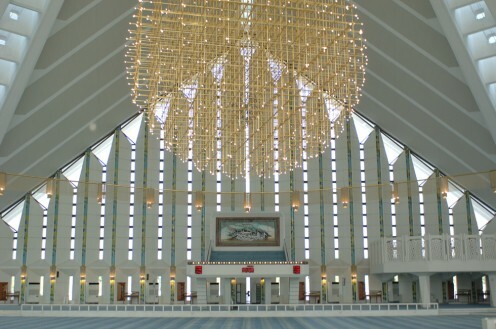 Shah Faisal mosque can accommodate ten thousand people in its main hall which is beautifully decorated. Two hundred thousand worshiper can offer Salah outer area of mosque. 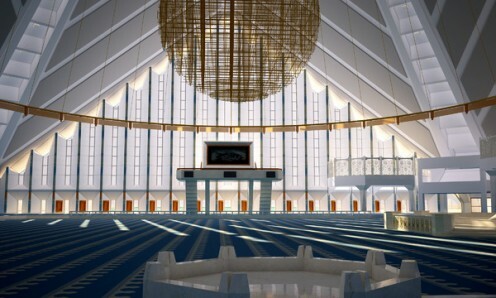 Shah Faisal mosque has one big lecture hall, museum and library. International Islamic University also situated adjacent Shah Faisal Mosque. 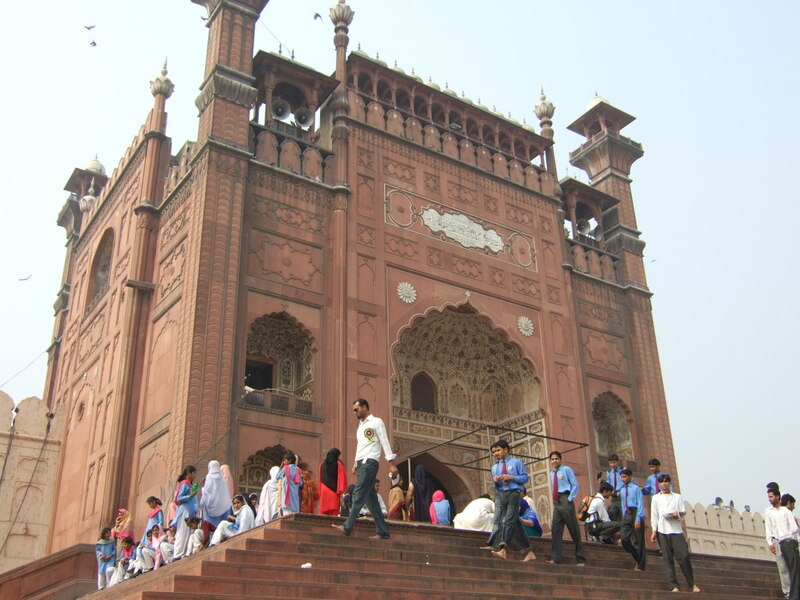 The mosque is decorated by beautiful calligraphy which was done by famous Pakistani artist Sadequain. 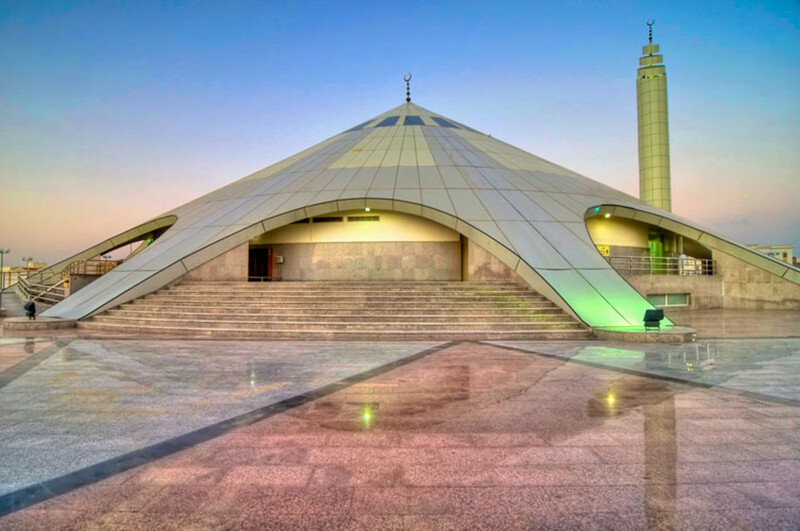 Due to most beautiful construction and location Mosque is most visited public place in Islamabad. 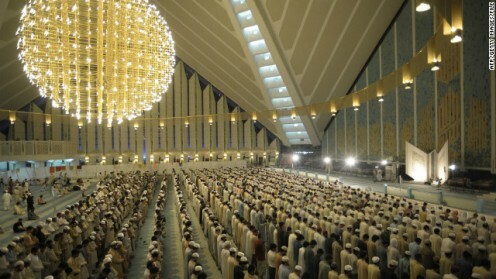 Large number of people from all over the country visited Pakistan largest Faisal mosque every day. Do you know where is Shah Faisal Mosque?